1. Research. Look online and get referrals through other vendors such as event planners and caterers. Ask family and friends for recommendations, too. Many musicians book through an agency, but you’ll likely pay a higher price for the agency’s service. If you research and can book musicians on your own, you’ll cut out the middleman and protect your budget. 2. Interview. After some research, interview at least three musicians you’re considering. Ask about their experience as well as their availability. “Once you have found a potential group, ask for their rate sheet, music list and demo recording,” says Dr. Carolyn Waters Broe, a violinist/violist with Four Seasons String Quartet and the president of Classics Unlimited Music. 3. Hire. Plan to hire a musician within six months to a year before the wedding. Keep in mind that key days like holidays and weekends, as well as certain seasons, fill quickly. Off-peak seasons and off-peak days like Mondays and Thursdays can be more budget-friendly since musicians are typically not booked for other events during those times. 4. Outline your vision. Work with the musicians before the big day to outline your musical vision for the wedding. A well-planned playlist will give you peace of mind and serve as a guide for your musicians. 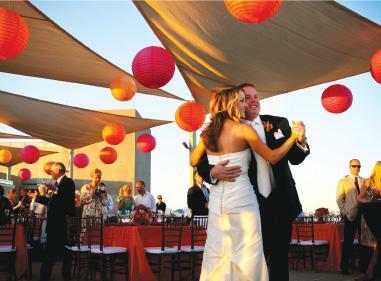 Set the tone for an unforgettable wedding reception with live music. When it comes to music for the big day, no one can play your heartstrings like a live band.